Assisi, in central Italy’s Umbria region, is a picturesque medieval hill town that’s known as the birthplace of Saint Francis. Although hoards of tourists flock to Saint Francis Basilica, most of them are there only for a quick visit, leaving the rest of the town to those who spend a few days. It’s especially nice to experience Assisi in the early mornings and evenings. 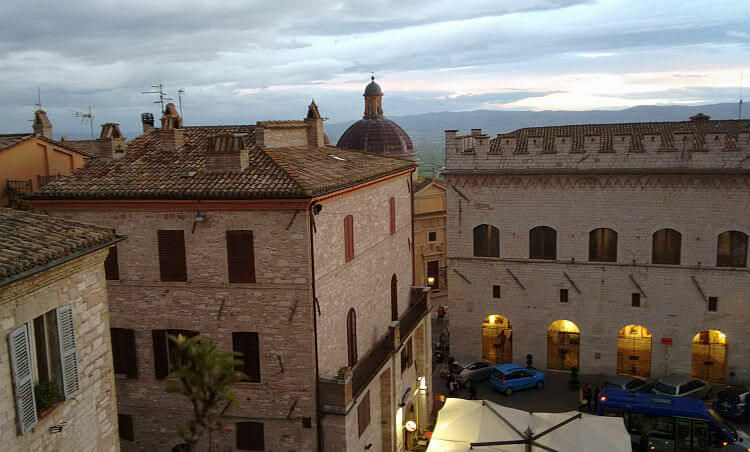 We stayed at the comfortable Assisi Piazza Apartments, perfectly located on the main square, Piazza del Comune. The 3 apartments are on the upper floors of a historic palazzo and have great views of the piazza and the valley beyond as well as the rocca looking in the other direction. A great place to start the day is at Bar Sensi, a favorite of locals, on Corso Mazzini just off the main square. Since it’s also a pasticceria you’ll have your choice of delicious pastries made right there. Stroll down the hill through town to Saint Francis Basilica. The morning light is perfect for photos and if you’re early enough, you can beat the tour groups. You’ll pass through a quick security check, then continue into the church. The oldest part of the church is the lower church, completed in the early 13th century in Romanesque style and decorated with 13th and 14th century frescoes. Go downstairs to see the tomb of Saint Francis. The Basilica Superiore, or upper church, has big Gothic arches and its stained glass panels are some of the best examples of medieval glass still in existence. Frescoes include the famous fresco cycle, the Life of Saint Francis, with 28 panels painted from 1296 to 1304. Near the upper church (outside the security area) you’ll find the entrance to il Bosco di San Francesco, a woodland area dedicated to Saint Francis. Following the easy trail down the hill through the woodlands you’ll arrive at a small church and visitors center. Crossing the bridge, stop for lunch at Osteria Il Mulino. If you want to walk further, there’s another part of the trail that goes along the river or you can return up the hill to town, where you’ll enjoy some good views of the Basilica on your way up. Back in town, visit the Romanesque Cathedral of San Rufino that holds the baptismal font where Saint Francis, and his follower Saint Clare or Santa Chiara, were baptized. You can also visit the crypt below the church where Saint Francis went to pray. Saint Clare’s tomb is in the Church of Santa Chiara. You can see the excavations of the ancient Roman forum at Assisi Sotterranea or inquire at the tourist office in the main square about the Roman houses excavation, some of the best in central Italy, that can only be visited on a special guided tour. Peek in the window of the restaurant at Locanda del Cardinale for a look at the excavations under the glass floor. End your day at the bar in Piazza del Comune across from the Temple of Minerva, for an apertivo where the locals like to hang out and enjoy the views of the beautiful buildings in the square. If you’re lucky like we were, you may hear the musicians practicing for a festival or performance. Assisi’s biggest festival is Calendimaggio, held in early May. 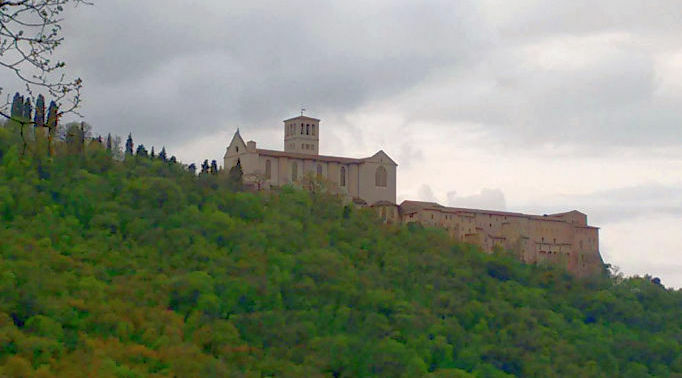 See the highlights on a 3 hour small group guided walking tour of Assisi. Visit artisan workshops and sample foods on a food and artisan tour of Assisi. Take a cooking class with lunch. 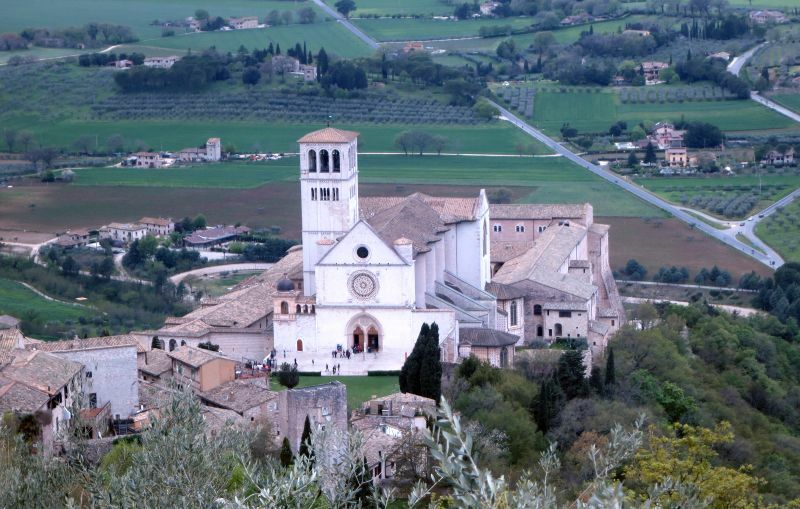 Get an in-depth look at Assisi and the life of Saint Francis with the guided walking tour From Riches to Rags: the Story of Saint Francis of Assisi. Hotel Il Palazzo, in the historic center between Saint Francis Basilica and Piazza del Comune. Assisi makes a great base for visiting other places in Umbria, including the nearby pretty hill town of Spello and the city of Perugia, both of which can be reached by train. Assisi’s train station (reached by bus) is a couple of miles below town in Santa Maria degli Angeli, where you can visit the big church that houses the tiny Porziuncola chapel where Saint Francis and his followers worshiped and the Cappella del Transito with the cell where St Francis died in 1226. If you have a car you can explore the Sagrantino wine region. 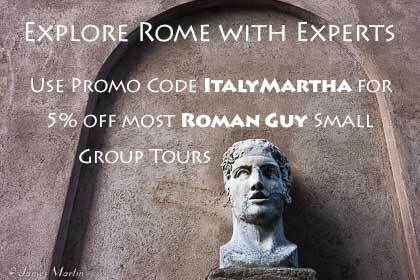 Or you can take a guided excursion to go wine tasting in the Umbrian hills with lunch and transportation.